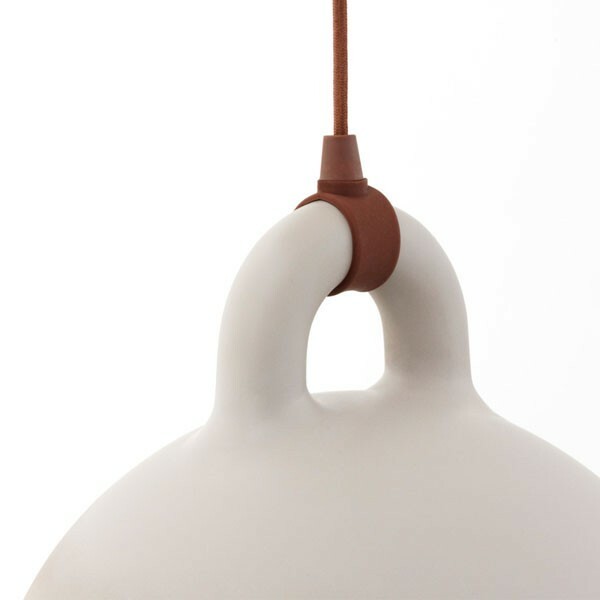 Why settle for a boring lamp shade when you can wow your visitors with this stunning minimalist pendant light from Normann Copenhagen?! 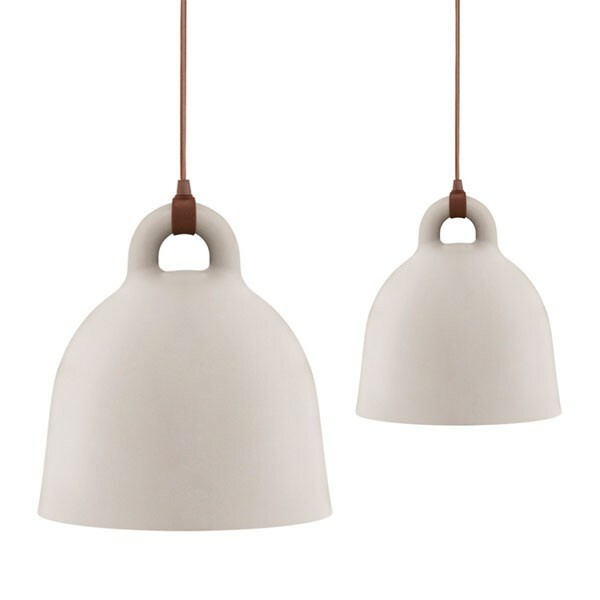 The Normann Copenhagen Bell Lamp Medium - Sand is an original and completely unique hanging light design, which is fresh out of Denmark. 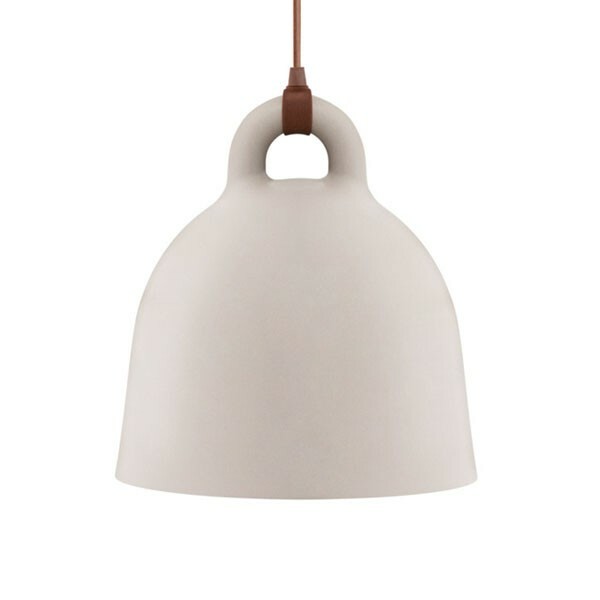 Whilst appearing to be a robust stone bell, the aluminium Bell Lamp will surprise guests by actually being a light fitting! Ding Dong indeed! 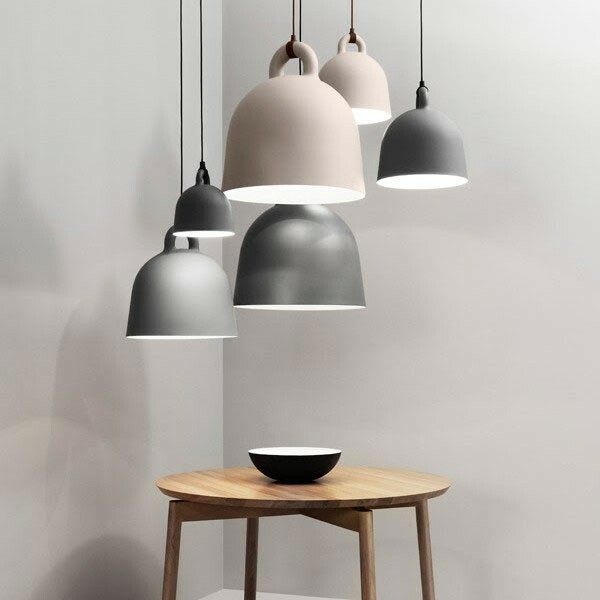 This contemporary light is also extremely versatile - it is perfect for a range of home styles, including Scandi, minimalist and industrial styles, and also several rooms in the house! 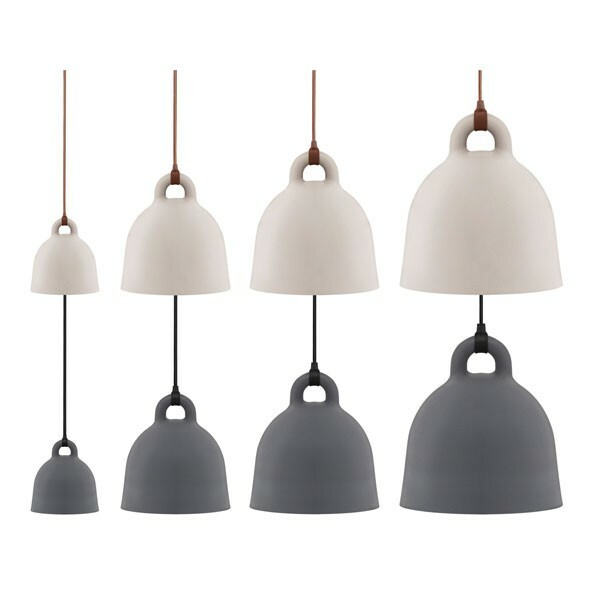 Why not hang a few Bells in a row over your kitchen counters, or even position one over your favourite reading chair in your living room? This stunning design comes in four sizes and two colours: sand and grey - see these variations on the right!